What is the relationship between ‘religion’, ‘spirituality’, ‘addiction’ and ‘addiction recovery’? What are we meaning by ‘addiction’? Is it socially constructed? Why are we even talking about a relationship between these concepts? Can religion be conceptualized as an addiction? how might a specifically Religious Studies approach help us to productively engage with this particularly sensitive area? And, as ever, how might we go about conducting such research? These are just a few of the questions discussed in today’s podcast, where Chris speaks with Dr Wendy Dossett of the University of Chester, UK. 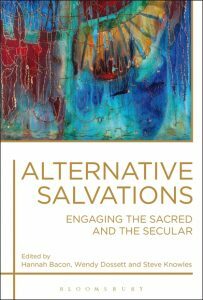 Be sure to take a peek at some of Wendy’s other scholarship, like the book Narrative and Reflexivity in the Study of Religion. You can download this interview, and subscribe to receive our weekly podcast, on iTunes. If you enjoyed it, please take a moment to rate us . And remember, you can use our Amazon.co.uk, Amazon.com, or Amazon.ca links to support us at no additional cost when buying academic texts, flowers, tea tree oil, and more.